This is probably the most impressive offering, a delicate cascade of feathers balanced against a woven base – called the double disc floral hat, this retails for £160. 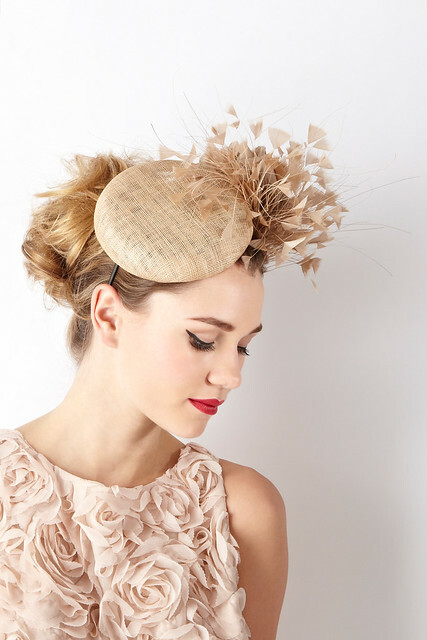 In a similar colour is the floral veiled hat, for £130. A bit edgier, the buntal teardrop hat retails for £100, and features an animal print pattern, great with a black or white dress. 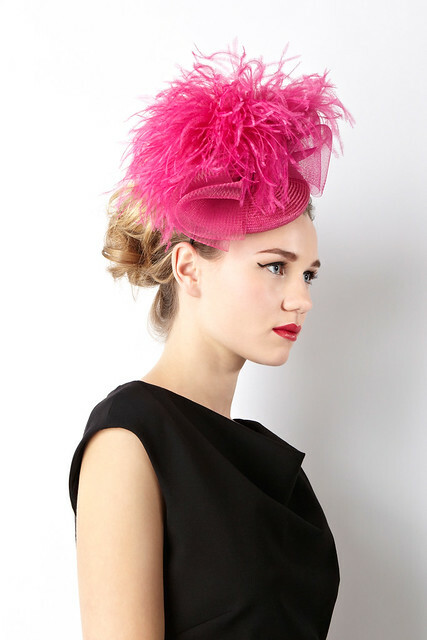 Providing a pop of colour is the ostrich pom hat in pink, for £150. This is the only offering in the collection that doesn’t feature a neutral palette, although it’s also available in black. By far my favourite, though, is this gorgeous side bow hat, in black! At the moment, you have to either order these from a store, or reserve and collect them in person. Which one is your favourite?